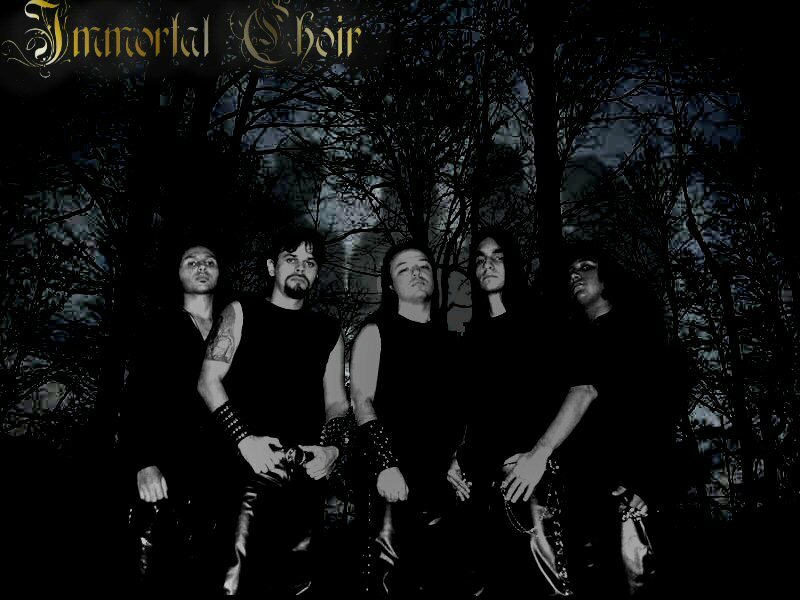 Immortal Choir is a heavy metal band from Manaus, the capitol of Brazilian Amazon Forest. It was formed in 2000 by friends Andre Mendonça and Andreth Ives, with the entrance of guitarrist Rodrigo Sampaio, vocalist Sandro Barros and Bassist Eurico Santoro in the same year. The initial aim of the band was joining tradionatl heavy metal with great chorus and choirs (what is the reason of the band's name). So this was the style of metal adopted by early days of Immortal Choir. In the same 2000, the band did its first live gig, in a big rock festival, with other rock bands, to an huge audience (more than 5 thousand people). In 2001, after some other live shows, Alisson Oliveira, classical keyboard player, join the Immortal Choir. This would define the musical direction of the band and materialize, for the next year, the recording of band's first album. 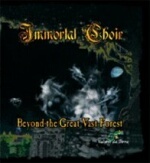 Recorded in the 1st half of 2002 but released only in 2003, "Beyond the Great Vast Forest" shows a power metal with great choruses and a dark and heavy sound, with the amazon forest as main theme. At the end of the year of releasing, the band promoted its official night, in their home town (Manaus), with a lot of special guests, including "Detonator", vocalist and of the Humour Metal Band "Massacration", from Brazilian MTV. In 2004 the former drummer, Andreth Ives, unjoin the Immortal Choir and is replaced by a friend of the band, SEVERAL (alternative rock band from Manaus) drummer, Beto Montrezol. Between 2004 and 2006, the band has played in a lot of gigs in Manaus: own shows, rock-metal festivals, international bands opening (like angra and shaman bands). Also it has done some shows in other cities in Brazil, like Belem and Boa Vista. In the beggining of the year, the band invited Robson Mariano, MORTIFICY (brutal death metal from Manaus)to play along with the band, and from this union we had two great shows and a JUDAS PRIEST (english masters of heavy metal) tribute show, which can make Immortal Choir record one track for its new EP, that is being produced and recorded.